Sieve Shaker Hand Operated (NATM-M17) for Aggregate Testing - This is a bench type model which is portable, sturdy and convenient for bench mounting. 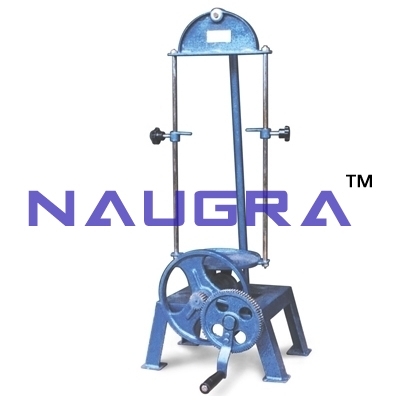 The side to side movement to the carrier which can take upto 7 sieves of 20cm diameter is through a chain of gears operated by a hand wheel..
We are leading manufacturers, suppliers & exporters of Sieve Shaker Hand Operated For Testing Lab for Aggregate Testing Lab. Contact us to get high quality designed Sieve Shaker Hand Operated For Testing Lab for Aggregate Testing Lab for schools, colleges, universities, research labs, laboratories and various industries. We accept bulk orders for government tenders in all countries around the globe.